The Eye on Kansas website is now in archive mode only. It remains in memoriam for its initial author and creator, Dr. Tom Gould. 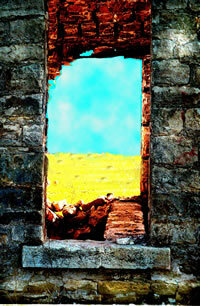 Eye on Kansas was part of Rural Oasis, a resource for Kansans, and was created and was maintained by Kansans. It was a non-profit and accepted no advertising. Our authors were interested in Kansas and shared many wonderful stories about the people, places and things enhancing this state. Many thanks to them and their viewers. Looking for a story told in pictures or video? A slideshow of pictures on the Konza Prairie Biological Research Station, near Manhattan. 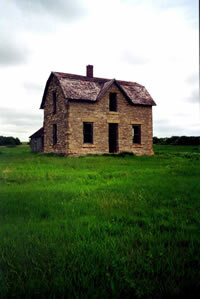 This old rock house is located near Randolph, just off Highway 24. This picture was taken from the dam just north of Manhattan.